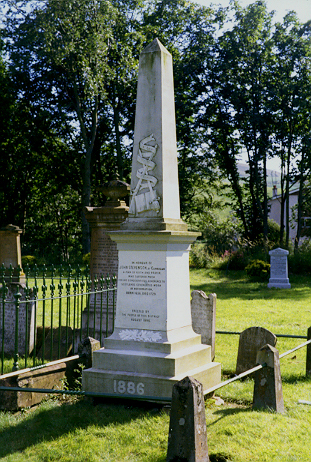 A tall obelisk commemorates both Stevenson and three other Covenanters - George Martin and two whose names are unknown. Stevenson was at Bothwell Bridge and only just escaped. Outside Hamilton his companion was shot. For the next nine years Stevenson was on the run. Often he hid in the fields near his father’s farm. One winter he spent in a haystack. Twice he was nearly captured. Through all the Killing Times he ran and hid, through it all he hoped and prayed. And he survived. Comforting Cordial for Old and Young Christians. There he recalls not only his adventures, but his inner struggles for faith. Still in print, Stevenson’s Comforting Cordial lets us see the mind and soul of the true Covenanter.